Sponsored by Industrial Donuts. This weekend in Champaign-Urbana is jam packed with family fun! 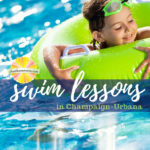 Want to teach your kids to swim like fish, in land-locked Champaign-Urbana? Check out our guide to swim lessons. Sponsored by One Week Boutique. Our picks for family fun in Champaign-Urbana. Resources in the C-U area that assist families and children with special needs. 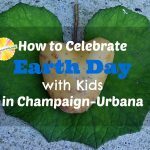 We list Earth Day celebrations in the Champaign-Urbana area and a few ideas for how you can celebrate the planet in your own backyard.